How could one find out which of one's Firefoxes is just running? How many Firefoxes do you have and how do you start them? You can use the Windows 10 Task Manager, Details tab, to examine details on a running process. You can call up the Task Manager using Ctrl+Shift+Esc or right-click the Taskbar. On the View menu, there's a command to Select Columns. Add Command Line and see whether that helps. About 5, 6 or so. Starting them by clicking the exe file or a link / symbol or such. Last edited by DanRaisch on January 6th, 2019, 2:58 pm, edited 1 time in total. That's task manager and could reflect multiple Firefox processes, that is multiple windows or tabs running in one profile. 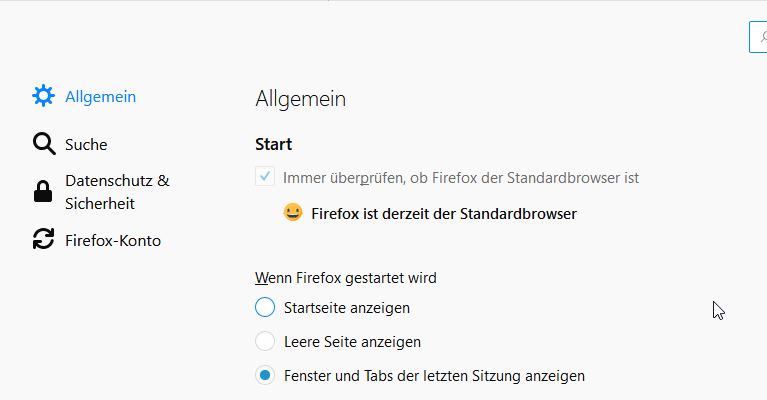 It doesn't indicate that you have separate Firefox programs installed or running. Yes, at that moment there was only one Firefox running, I think. I really do use 2 differnet Firefoxex or Firefox and another browser each one with its own profile. Not a single Firefox with two profiles. Or in other words, when a Firefox is running one (normally) cannot start another one, a message will appear saying there already is a Firefox or so running. And after modifying that setting the second Firefox / browser starts and runs. No, you use a command line switch to accomplish that. See the article. Comand line switch? In the article? Where? Dirki wrote: Yes, at that moment there was only one Firefox running, I think. Looks like two to me. If you scan along the path, you see seven processes running out of a folder named Firefox64 and five running out of a folder named Firefox. Yes, the same portable Firefox can be started with differnet exe files being in differnet folders. When it is set as the default browser Win starts it with the wrong exe (means the bookmarks are not shown, etc. ), do not know why, may be it is because of that setting that let 2 Firefoxes run at the same time. If these are in fact "PortableApps" versions of FF, which it looks like is your intent, you should be running "FirefoxPortable.exe" (or whatever the name might be). And that - starting firefox.exe in a sub folder - causes that the bookmarks and other things are missing. And I assume or could imagine it is caused by a setting in the confi:about.